Alison Morsley joined QuadReal as Vice President, Human Resources in November 2016. Alison develops and leads a team that ensures the seamless support and counsel of all colleagues across the company on day to day human resources functions. Alison brings over 17 years of experience in Human Resources. She was formerly the Director, Human Resources at Bentall Kennedy, where she was responsible for leading and overseeing all people functions for the company’s multi-residential and retail portfolios in Canada. 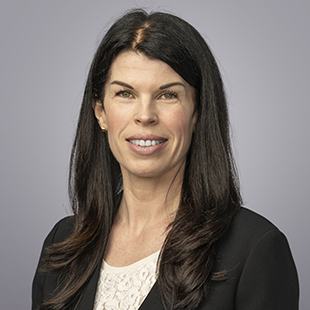 Prior to her role at Bentall Kennedy, Alison held senior Human Resources positions with Future Shop and Best Buy Canada Ltd., as well as several progressive leadership roles in Operations, Sales and Human Resources at Hudson’s Bay Company. Alison holds a Bachelor of Arts from Queen’s University and a Certificate in Human Resources Management. She is a member of the Human Resources Professional Association, Peel Chapter. Fostering and sustaining both a rewarding and balanced experience for all employees is one of many passions Alison brings to QuadReal.